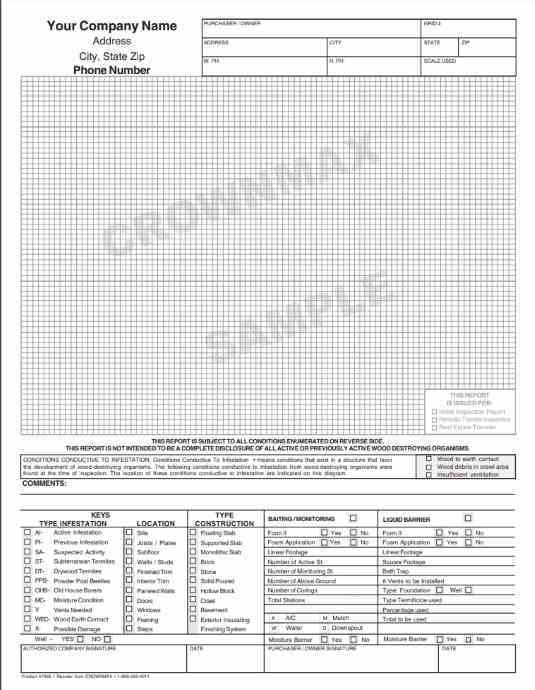 Graph offers easy fill in section for type of infestation, location, type of construction and baiting information. 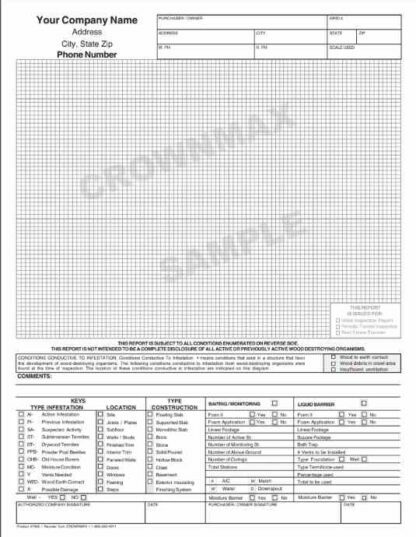 Back of form has scope of inspection information. 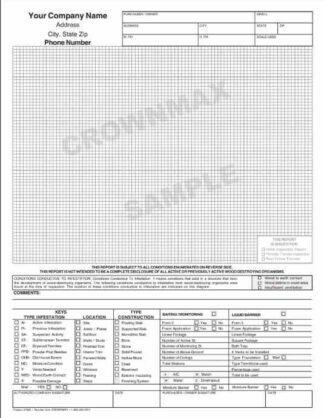 Form may be altered for a small additional fee to better accommodate your company’s needs or comply with Pest Control Association or State Regulations. (Price would depend on amount of changes made). Call Customer Service for more information 1-800-252-4011.